Orkney Beach, Ramara - We invite everyone to visit our open house at 4299 Orkney Beach Road on April 19 from 1:00 PM to 3:00 PM. When it comes to listing Orillia homes for sale, one thing that you want to consider before you settle on a listing is the market you're currently in when the home enters the marketplace. In the Orillia area, the real estate market kicks into high gear during the spring. Everyone who is looking to buy a new home wants to do so as quickly as possible before the warm summer weather settles in for good. They want to be all moved in and set up for the delightful season so they can enjoy it for as long as possible. This is especially true if they're looking for a second or weekend destination home. There are a number of things that you can do to make your listing as attractive as possible for the spring market. For starters, you can showcase not just the property itself but the community around it. In the Orillia area in particular there are a wide variety of different festivals and events that go on essentially every weekend during the spring and summer months of the year. When you discuss the surrounding area, include these types of events to make both the home and the property look as good to prospective buyers as you can. You'll also want to consider your target audience very carefully and tailor your listing to meet their perceived needs. Consider the type of person you're trying to sell your home to. Be sure to include information about the features and amenities that come with the property and how they can fit into a person's life. When taking pictures of the home for the listing, always do so from a variety of different angles. If you're listing waterfront property, be sure to take an image of the way the home looks from the water. As the waterfront is part of the reason a person would be buying, they will likely want to know what their home looks like from that type of situation. When considering Orillia real estate, it is important to also consider the local landmarks and attractions that call the area home. There are a wide variety of different things to do in the area depending on the time of year you wish to do them in. During the summer, for example, there is a festival or some other type of outdoor event essentially every weekend. If you're new to the area and are looking for options to have a good time, you certainly have a wide variety of different things to choose from. One of the biggest attractions in the area is Couchiching Beach Park, which attracts both boaters and general tourists in huge numbers each year due to how close it is to the waterfront. The waterfront in general features a variety of different amenities including a touring ferry, playgrounds for the younger members of your family, a lakeshore boardwalk, and outdoor theatre and more. If you're a boater, you can use the waterway that connects the Lake Couchiching to the Great Lakes. If you're daring enough, you can get to the ocean from there and travel anywhere in the world if you want to. If you happen to be in the area during the summer, the "Christmas in June" festival is regularly held at the Port of Orillia. It includes boat decorating contests, turkey buffets and more. Other festivals are happening in the area all year round. If you're a fan of the arts, the "Arts District" in Orillia is something to behold. It is the home of a large number of different art galleries including the famous Stephen Leacock House museum and the Orillia Museum of Art and History. The area is considered the hub for the cultural pulse of the city and plays a large role in many events that are held year round. These are just a few of the many reasons why Orillia homes for sale are so attractive. When you begin to consider Orillia homes for sale, one of the major factors you want to think about is the area itself. You never want to buy the home of your dreams without first considering the area where it is located. Doing so is a great way to turn the home of your dreams into something out of your worst nightmares, as even the best home will serve little purpose for you or your family if you can't stand the area around it. Luckily for people looking to come to the Orillia area, there are a large number of different reasons why people find it ideal all throughout the year. When you consider the difficult weather areas all over the world have been having recently, it is hard not to wonder just what the weather in Orillia is like. Generally speaking, residents are drawn to the area due to fairly comfortable weather all year round. The area experiences all four seasons and is generally very comfortable to live in, especially during the summer. The weather typically sticks to around 30 or so degrees Celsius during the summer, making it great for many outdoor activities like barbecues and family gatherings. Another reason why residents are attracted to Orillia is because it is such a varied community. The age range of the residents living in town is all over the map. Residents include people who are selling places in Toronto and moving to Orillia and people who just want a beautiful place to call their own. The proximity to Toronto is another benefit that the area has to offer. Another one of the many reasons that Orillia homes for sale are such a hot commodity has to do with the terrific waterfronts that are in the area. If you're the type of person who likes water sports or other aquatic activities, you'll find a great deal to love about the area in general. Selling something as niche as waterfront property may take a bit more thought and effort as selling any other type of property, because you'd have to find your market. But it can be just as, if not more, rewarding if you do it right. Here are a number of key things that you can do to help expedite the process. Know what people are looking for. Understanding what your prospective buyers are looking for and what your property can offer them is the key to selling your waterfront property as quickly as possible. What's good is that people who are looking for such a home usually already have a pretty good idea of what they want. Knowing what people who are interested in waterfront properties are looking for enables you to make your home a good match, but you also need to watch the costs, of course, because you're still looking to make some type of profit on your investment. If you have to spend a great deal of money to make all the improvements necessary for your home to be attractive to buyers, you're going to need to increase your asking price. Increase it too much and you could extend the home's stay on the market. Expose your home to your prospects. So you've made your home a good match for what people who are looking for waterfront property are looking for while keeping your costs reasonable. What else can you do to make it quickly saleable? Why, bring it to the market, of course! Take advantage of opportunities to expose it to more people in your target market, such as by supporting your more popular community events that are targeted at tourists. When it comes to selling fast, it is always important to remove all obstacles that could prevent you from achieving your goals. Secure all necessary permits to make needed improvements and repairs as early in the process as you can. Hiring a Realtor® who specializes in waterfront property will help you attract both traditional home buyers and investors, which would allow you to sell your home as quickly as possible regardless of the current conditions of the market. Following these four steps should help you sell your waterfront property faster and more easily. Stay focused, and enjoy the ride! Do you fantasize about living near the lake? I know many people do, and I am lucky to currently reside in a house on the shore of Lake Simcoe in Orillia, Ontario! Maybe that's where I get my typical calm, cool and happy demeanor, and my ability to focus in any situation. Before you set out to find your dream waterfront home, though, I invite you to check out these few tips. 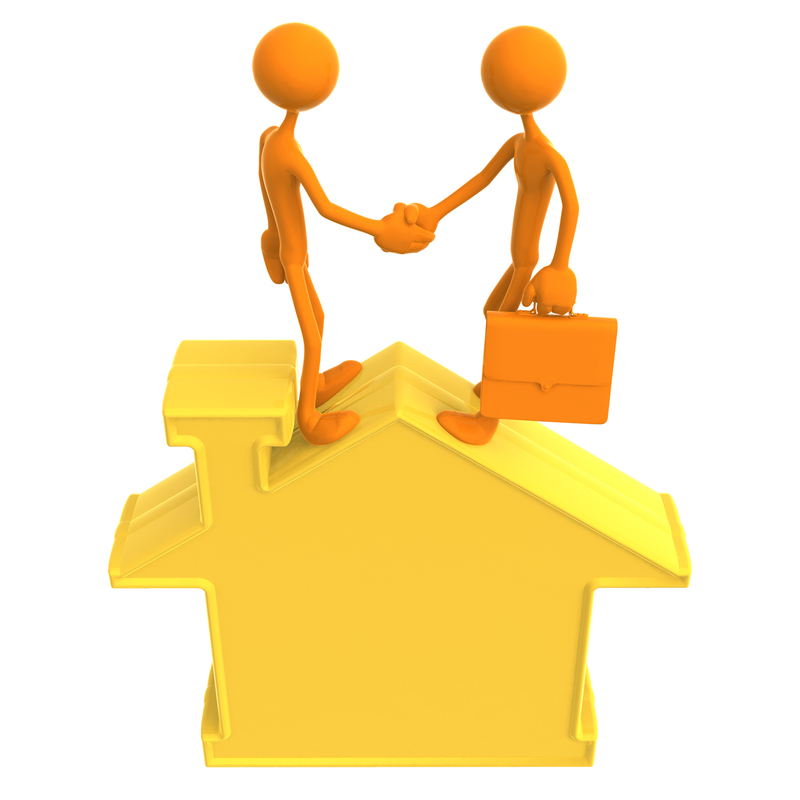 Before you purchase any type of property, you always want to consider your intentions very carefully. When it comes to purchasing a home for either investment purposes or for your own personal use, there are many important factors to consider. This is especially true when it comes to a type of property that is admittedly as niche as waterfront property. Ask yourself why you want a waterfront property. When choosing a waterfront property, it is important to first consider exactly what you want from the area. Do you need a good view? Do you want quick access to many different types of activities like strolling by the beach or water sports? Identify what key features of a waterfront property you'll need. To be happy with the property you'll buy, you should also be well aware of what you need as an individual. Do you want a piece of waterfront property that is on municipal services or well and septic? How important is the proximity to the nearest hospital? Do you want more or less privacy than you would have from a regular type of property? These are all important questions to ask before settling on any one particular location. Find out what the risks are. It is also important to do diligence checks. Find out about the risks associated with both the property and the area. Investigate the structural soundness of the home and the security of the surrounding community. You'll also want to pay close attention to the type of waterfront the property is nearby. Some are sandy, while others can be weedy or even mucky. Many people get stuck with bad waterfront properties because they aren't performing these types of checks. The waterfront in Orillia is generally a mixture of the aforementioned types. If you look at the bay where my home stands, for example, you will see a mixture of cobblestone in front of my home, hard-panned sand down the shore, and mucky and weedy waterfront across the bay and over a shoal, which is not as desirable unless you are a marine biologist. If you purchase in the winter and pay attention only to neighborhood sales, you could vastly overpay for something that doesn't meet your needs. So you see, buying a waterfront property is in many ways like buying any other type of property, but there are extra things you'll need to watch out for. The key is having the right information you'll need to make a good choice. If you're really bent on making your dream of a home by the lake finally come true, I'll be happy to help. I'll put my lifelong experience in living in a house by the lake and in a community sandwiched by two lakes to work for you. Let's make that happen! 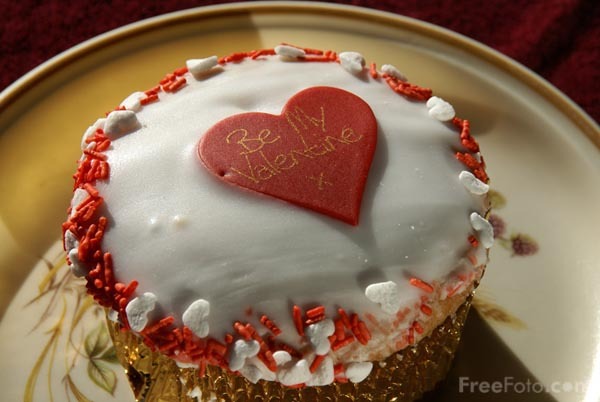 It's almost Valentine's Day, and even though Orillia real estate is my first love, good food is a close second. Finding your dream home is one thing; but finding a home that you can see yourself growing old in and in an area that you love is something else entirely. It can be helpful to consider the area based on certain times of the year when you know you are likely to need various types of restaurants and businesses. If you're looking for great restaurants in the Orillia area for Valentine's Day, you happen to be in luck. Brewery Bay is one of the favourite restaurants in Orillia, and I enjoy it very much. Try the wings, vegetarian burger, sweet potato fries, and cold beer -- yummy! And the prices won't burn a hole in your pocket, plus Steve and the staff are great! Sixteen Front casual fine dining restaurant and lounge is Orillia's premiere casual fine dining restaurant. It will surely make for an unforgettable dining experience. The restaurant accepts both walk-ins and reservations, making it perfect for that special someone on Valentine's Day. Zats is an Italian restaurant in the Orillia area with a wonderful menu and an even better atmosphere. It is family-owned and -operated, and specializes in fresh ingredients and superior-quality foods. The restaurant truly has something for everyone and is perfect for any occasion. Who says Valentine's Day is just for sweethearts? If you want to spend Love Day with the kids, they'd be perfectly happy at good old Mr. Sub! Well, the owner of the 189 Mississaga Street East location is a friend of mine, but hey, the food is always yummy and healthy, and the atmosphere is fun for the entire family! Orillia real estate is booming, and luckily for you, the surrounding area is just as successful. There is a wide variety of great restaurants for you to choose from for both Valentine's Day and other times of the year. The picture-perfect city of Orillia and the shores of Lakes Simcoe and Couchiching is a wonderful place to live or invest in. With me as your guide, you’ll have a lifelong resident and well-educated agent who will focus on you 100%. Contact me at 705-238-6001 or at http://www.ramararealestate.com and I’ll give you a tour of cottage country. Thank You For Voting Me Among "The Best Of 2013"! If you're a reader of the Orillia Packet & Times, you might have read that yours truly has been voted as one of "The Best of Orillia 2013" for real estate. I would like to take this opportunity to thank my clients and all the readers of the Packet & Times for their vote of confidence. Being one of the best in 2013 is a great honor and a very good way to start the year. Expect the usual "Bill Jackson" brand of service from here on out, and watch out for more, as I intend to further enhance the way I serve my clients this year--and every single year afterward. Again, thank you for voting for me. Being counted as one of the best of 2013 has gotten me all fired up for next year's "Best of Orillia 2014." Your home is not only where your heart is and your sanctuary, but is also most likely the biggest investment you’ll make in your whole life. So when buying a new home, you’d want to make the right choice. Happily, that shouldn’t be too complicated. Here are three of the most important things to do before you buy a house. Many new buyers get into the process of home buying without a clear idea of what it is they need in a home. One of Covey’s “Seven Habits of Highly Effective Persons” is to begin with the end in mind. That’s exactly what you need for highly effective house hunting. Before you even look at listings, ask yourself what kind of house and setting will complement your lifestyle. Examine what amenities and opportunities you’d like to have close by, and which ones you can do without. Having a clear picture of what you need improves your chances of successfully finding a suitable home. Buying a new home is a huge financial commitment. You need to get a good picture of what buying a home will mean to you. Besides the monthly mortgage, you also need to consider the continuing expenses of owning a home, including utilities, taxes, maintenance and repairs, association fees, and many others. If you are taking out a mortgage to pay for your purchase, you need to know and fully understand all the details of your mortgage. Things may look good on paper, but you have to see it to believe it. What may seem like a bargain won’t be a bargain at all if it’s located in a bad neighborhood, or if it’s sitting next to a termite mound on the edge of a cliff! Think about getting a reputable professional home inspector to give you all the details about the home you are thinking of buying. You will incur some costs because of this, but you could end up saving more if it turns out that the house has major issues. House hunting should be a happy and exciting experience, and it will be if you just keep these three things in mind. Have fun! It's a brand new year! I hope yours was great, as mine was. With 2014 well under way, I’m filled with excitement at what’s in store for us here in Orillia. As anyone from here will tell you, this is not a town that you merely pass through. There’s so much going on here and there’s something for everyone, regardless of your interests and passions. Here are some of the things I look forward to. If you remember, Simcoe County gave Lakehead University a million dollars in November last year. All in all, the university has received around 3.5 million dollars from the regional government. All that money will certainly go toward improving the university’s facilities, and quite possibly toward expanding the campus. For investors, this augurs well because expansion means an influx of more students, and more students means more opportunities for rentals and sales of Orillia homes within the next few years. 2014 also promises to be an active one for those who love to be on the lake or alongside it. As summer approaches, there’s going to be all sorts of events and activities in and around Lakes Simcoe and Couchiching. The Spring Boat Show and Waterfront Festival are surely going to be a lot of fun, and we’ll see some more action and excitement with fishing events such as the Perch Festival in April until May. 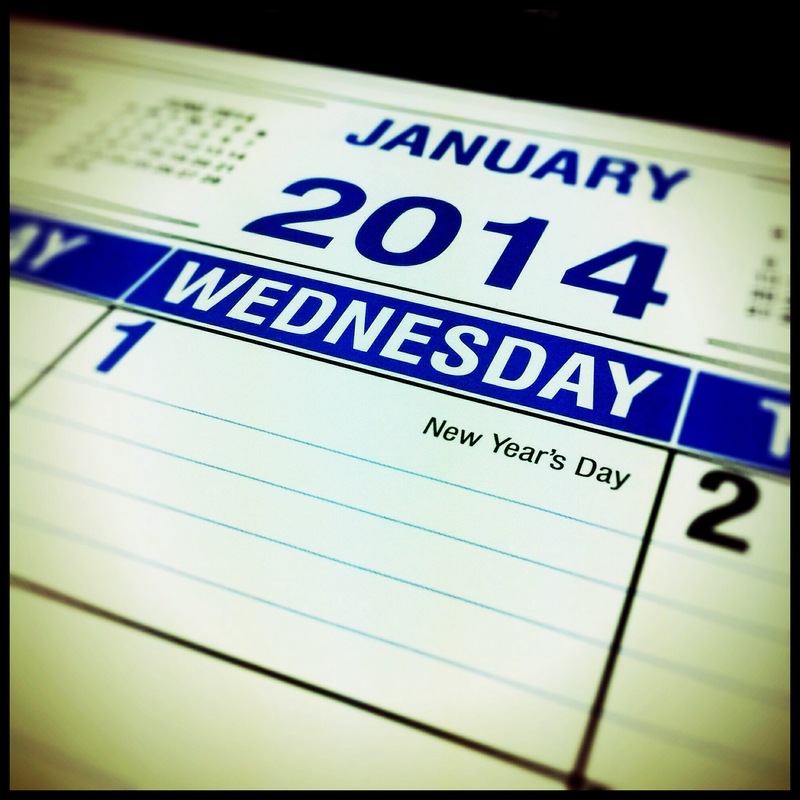 Check out all the 2014 events in Orillia. Local artists keep Orillia interesting, and there’s certainly no shortage of art events here throughout the year. Check out the wonderful lineup of the Orillia Opera House. Streets Alive! is one of the outdoor summer art events that attract many excellent artists and visitors. The local music scene is equally active, especially during the summer. I look forward to the Mariposa Folk Festival, which attracts many notable Canadian music performers, and to the Orillia Spring Blues Festival. And that’s not even scratching the surface of what to expect in Orillia this year. There are also options for history lovers, outdoor adventurers and sports fans. And if you’re up to it, you can even put together your own set of activities and events for the year. Whatever the case, I’m truly excited, and 2014 looks like it will be a good year. I can feel it! It's almost Christmas, and I hope you're having tons of fun, as only this season can bring. Here in Orillia, our beautiful lakes are frozen, and will soon give way to the laughter of both kids and carefree adults as they skate to their hearts' desire and pick themselves up when they fall. That laughter is music to my ears, and never fails to lift up my spirit to a different kind of high. I wish you the same happiness wherever you are today, as well as next year and everyday. It is wonderful to be a kid at heart, to find joy in the simplest things, to just be ourselves, to enjoy other people's company, to learn something new, and to pick ourselves up when we fall. Christmas or any other day in the year may be or seem cold, but we can always warm it with our hearts, not just for ourselves, but for everyone whose lives we touch. I just want to say a special thank you to all my clients who trusted me with their real estate needs in Orillia this year. I hope you are warm and happy in your homes and are making plans for a great year ahead! Happy Holidays and a Happy New Year to us all! The picture-perfect city of Orillia and the shores of Lakes Simcoe and Couchiching is a wonderful place to live or invest in. With me as your guide, you’ll have a lifelong resident and well-educated agent who will focus on you 100%. Contact me at 705-238-6001 or at http://www.ramararealestate.com/ and I’ll give you a tour of cottage country. Bill Jackson has been a realtor for nearly a decade in the charming city of Orillia in Ontario, where he was born and still resides. Of his two post-secondary degrees and two post-graduate certificates, his degree in Natural Science makes him a valuable resource for home buyers and investors interested in waterfront, farm and rural properties, which abound in Orillia. A real gentleman with a strong work ethic, his full focus is working full-time with clients; and he’s happiest when he has helped them find the best solution to their real estate needs and at the best price. It’s the season of fun and joy, and if you’re wondering what Orillia real estate has to offer in that department, I’d say a lot! Orillia is a place you’d want to come home to not only because of its small-town charm despite its nearness to big-city Toronto, but also because something seems to be happening here each week! But why wait a week? Everyday is a special day here for me, and here’s why. Orillia’s biggest draws, of course, are the two lakes that stand guard on either side of it like sentinels, and the wonderful lakefronts. I have great memories of growing up there. My dad used to bring us out to Lake Simcoe on a little row boat and we’d spend the day fishing for bass and pike. To this day, the lake has an unusually diverse marine life, so fishing is still popular here. Or you could do what I do and just stare out at the water from the shore. I find this very soothing and calming. If my friends are with me, it becomes a shared quiet moment, perhaps with a drink or two. All around the lake are resorts, campgrounds, parks and beaches where you can spend time relaxing with friends and family in a picnic or around a barbecue. Orillia has preserved its unique heritage as the charming village of Mariposa, fondly called “Sunshine City,” in Canadian humorist Stephen Leacock’s 1912 book Sunshine Sketches of a Little Town. You’ll see it in the picture-perfect quaint architecture of its buildings and in its well-preserved 19th-century downtown structures such as Orillia Opera House, Sir Sam Steele Memorial Building, and Central Public School, all of which are part of the Walking Tour of Historic Orillia. If you want to further step back in time, visit Mariposa Market’s celebrated bakeshop that serves delicacies the way Grandma baked them in the yesteryears, as well as its quaint café and shops that sell handmade crafts and decors for your home. Orillia also has a very lively arts community. Each week, especially during the summer, a local arts group puts together some kind of festival or event. Just last September, we had the Orillia Beatles Celebration. They closed downtown and had concerts, dancers, guest speakers and the much awaited “Beatlemania Revisited” show at the Orillia Opera House. One of the oldest and biggest celebrations here in Orillia is the Mariposa Folk Festival, a three-day musicfest in July that features hundreds of Canadian musicians, dancers and performers. Also popular is the Orillia Jazz Festival in October. If you’re looking for a change of pace, we have Casino Rama. It features 2,500 of the latest slot machines and over a hundred gaming tables and a 12-table poker room. You have all the opportunities to challenge lady luck and win big. And when you need a break from all the action, you can take your pick from among the eight restaurants serving the casino, or enjoy performances by some of the hottest names in the music industry at the Entertainment Centre. If it’s fun all year round in Orillia, what more at Christmas? 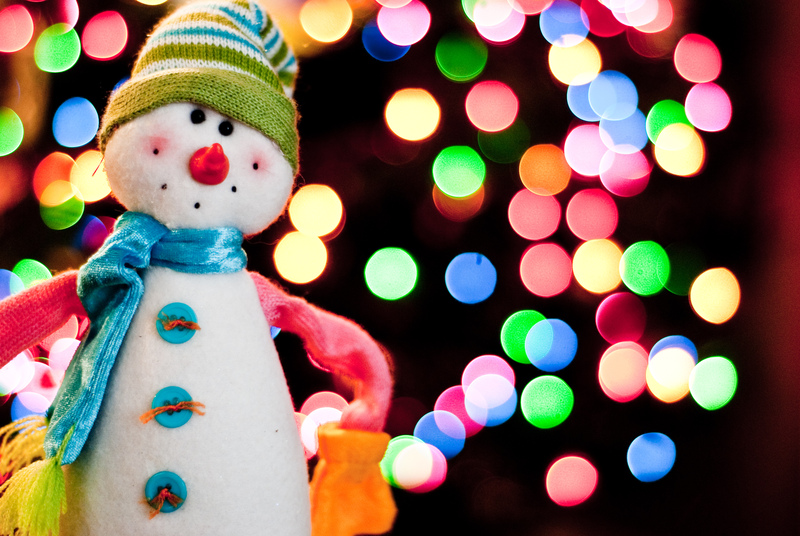 Check out our many special holiday events. I especially like the free horse and wagon rides, the carollers, and the free chocolate at some shops on Saturdays until December 21st in Downtown Orillia; The Nutcracker ballet by the Nureyev State Ballet Theatre Company at the Orillia Opera House; and for the kids closer to Christmas on December 21 to 23, the horse-drawn sleigh rides, face painting, crafts, petting farm, marshmallow roasting at Santafest at Santa’s Village. Now do you see why I say that with Orillia real estate, there’s no shortage of fun? Have a merry Christmas! Change is brewing in the city of Orillia in southern Ontario. The unusual combination of a suburb close to a big city, a sanctuary town, a cultural treasure, a retirement hub and an educational center is driving population growth and shaping an eclectic population that promises to make living in Orillia a multifaceted experience. Here’s a quick roll call of the people you’ll meet on the roads of Orillia. A fast-growing demographic in Orillia is the youth, with the opening of Lakehead University’s campus in the city in 2006. It had 1,100 undergraduate and graduate students as of 2012 enrolled in courses ranging from Social Sciences & Humanities, Health and Behavioral Sciences, and Science & Environmental Studies, and Natural Resources Management, to Engineering, Education, Business Administration, Medicine, and Law. LU in Orillia houses cutting-edge facilities that include Canada’s first Leadership in Energy and Environmental Design (LEED) Platinum university campus, which showcases green architecture. This development makes Orillia real estate a promising investment, as students, faculty and staff would demand housing yearly, and a rich pool of educated youth would soon beef up the city’s workforce and attract more companies. The median age in Orillia is 46 as against Ontario’s 40, and one in every 10 people in the city is 65 and older. This may be because there are nine retirement homes in Orillia and the city offers affordable housing, including condominiums for empty nesters, in an idyllic small-town natural setting with convenient access to amenities. The pleasant blend of young and old people, old and new architecture, and natural attractions and modern amenities in Orillia makes it perfect for such a wide range of people that it has landed a place among the Top 10 Ontario Investment Towns for 2012-2016. From all angles, it seems Orillia real estate is in a very good place. The picture-perfect city of Orillia on the shores of Lakes Simcoe and Couchiching is a wonderful place to live or invest in. With me as your guide, you’ll have a lifelong resident and well-educated agent who will focus on you 100%. Contact me at 705-238-6001 or at RamaraRealEstate.com and I’ll give you a tour of cottage country.